Hello, I need to repaint my house but am having trouble because of my roof color. Most of the houses in my neighborhood that have a pale grey roof are white. 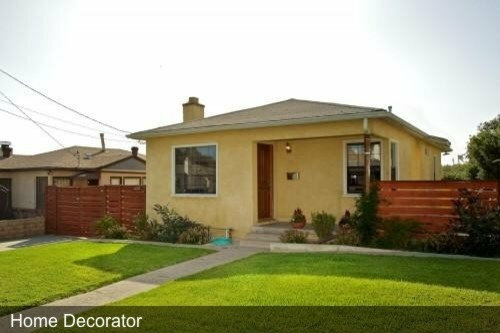 I refuse to paint my house white and am looking for other options. Right now I am leaning towards a med/dark grey white framing and a vibrant door. what would you suggest? If you have a wood door in a natural wood finish, I would keep it, since it looks really nice and a bright color door is not really seen from the street anyway. 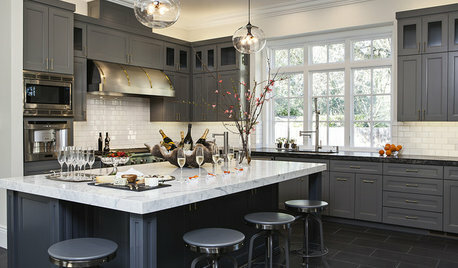 Light grey or blue grey with a black door! 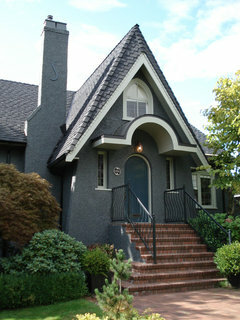 Farrow & Ball Down Pipe with Blue Gray trim and a Hague Blue door. 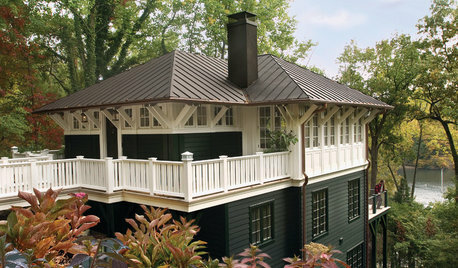 Any suggestions for exterior paint colors to match Oyster Grey roof? That was a real puzzler until I entered "white roof" in the search window above under the "photo" section. Then I was surprised to find a bunch of white or light roofs that were attached to almost white houses or pale gray or blue houses. Take a look at the ones below and then see more as I advised above. 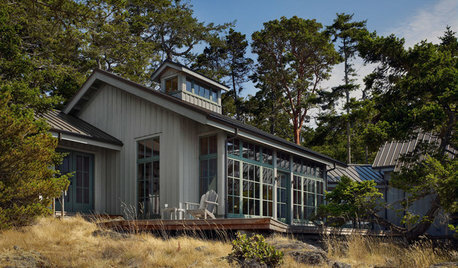 What to colors to paint house with charcoal grey metal roof? Help!! 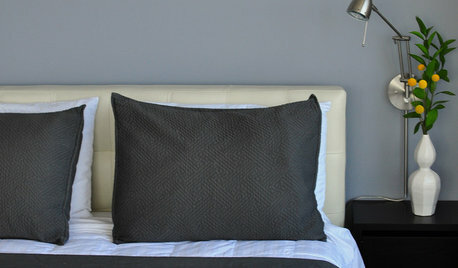 Yes the darker charcoal grey. I originally wanted a tan house but now that the roof is being installed I am thinking tan does not go well with this color roof. Thank you for the comments. I think I might do a sage green with a cream trim and maybe natural cedar posts to add some texture. THIS design is well above what we can do. Just need a good color scheme. also this is a home that needs barrier free design. @aja I love the last picture, slightly lighter. 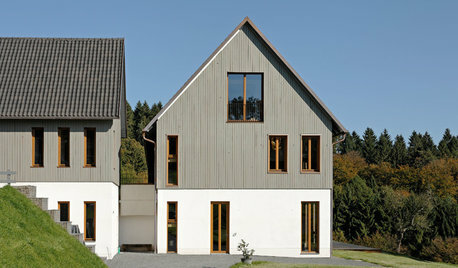 I've been worried that grey and grey blue that looks great on siding would look cold or drab on stucco. Be careful going too dark of color on the stucco, especially if you live in a sunny climate with little insulation in the walls. 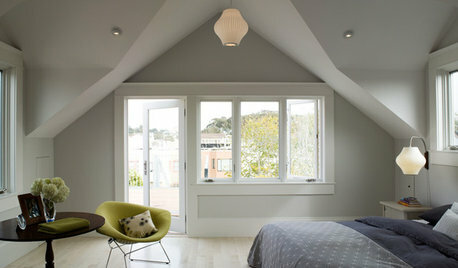 Dark stucco walls absorb a lot of radiant heat. I like your yellow house. I would keep it yellow and paint the trim white. Paint the front door black to update it a bit. Get a larger black finish porch light. I think it would like great on stucco, but I agree that the colours must be lighter. I am sorry I could not find a more suitable photo. @aja I had trouble finding good stucco examples as well. @mmilos good advice since I'm in San Diego. I do plan on adding a lot of foundation planting to help shade the house a bit more. Actually the picture I posted could very well be stucco. The house is discussed on The Challenge of Exterior Paint Colours by Kora Sevier in Architectural colour, Exterior paint colours, Farrow and Ball!!! Find a color that works with the wood stain on the fence. 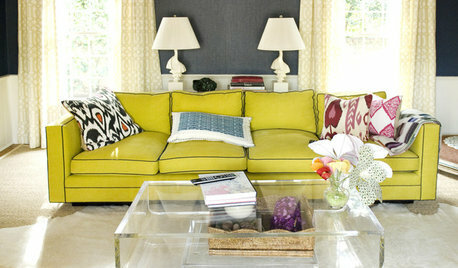 The yellow with white trim works.A light sage or moss green would work with creamy trim. 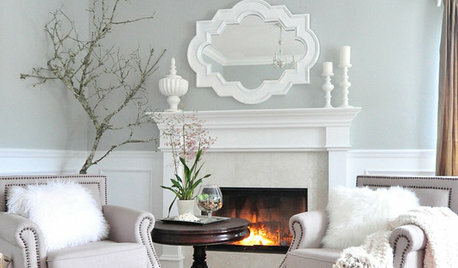 A with a gray or taupe in a warm shade you could do dark trim. Kora Sevier from K Colour here. Kim, hire a professional to help you. There's a reason why people such as myself exist. Choosing colours for an exterior is tricky business. You don't want to get it wrong because you're going to have to live with it for a long time. So are your neighbours. 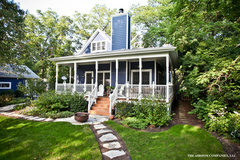 Google color consultants in your area or go to your local paint store and ask if they can recommend someone. It's well worth the investment. Good luck. Aja, thanks for the credit! You have fans in Florida!!! I favor the yellow over any gray. 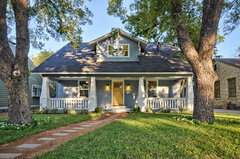 Would you consider a more vibrant yellow with terracotta floor tile on the front porch? I like the wood front door, but can't see the condition of the wood. Your house is cute and puts me in the mind of fiesta / salsa colors. I'm also a fan of tiled front porches in areas that do not have freezing temps. Would love to see a photo of your finished product. Which Version of Today's 'It' Neutral Is For You? Crawl Space Access Door Without Louvers 16"x32"